Peter Moger describes Tel Aviv in black and white photographs. As a photographer and a technician, Moger has a unique point of view of the city. He photographs Tel Aviv from a bird’s eye view. 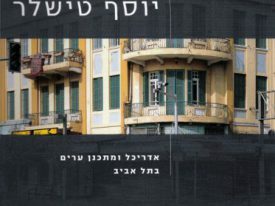 His work allows for a new perspective and view of Tel Aviv.